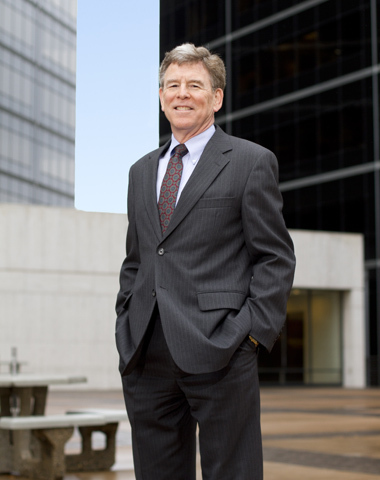 Bill Riggs negotiates, drafts and interprets corporate and business contracts for clients in the oil and gas, pipeline, banking, construction, aviation, public utility, manufacturing, and other industries. He attempts to bring clarity and perspective to the legal issues in commercial transactions so that informed business decisions can be made and alternatives considered in the context of the nature, size, and risk of the transaction. Particular experience includes commercial finance, corporate, business entities, management and owner rights/duties, mergers and acquisitions. He has also handled construction matters, representing owners, architects, and contractors; manufacturing and equipment sales on behalf of domestic and international sellers and buyers; and intellectual property matters. With his experience as the former Managing Partner of Doerner, Bill brings a CEO’s perspective and understanding of the opportunities, pressures and challenges facing businesses in day-to-day operations and commercial transactions.